Digital version received via email; the printed version will ship when it comes back from the printers. Advanced Tax Tactics has been fully updated to teach you how to take advantage of the new Trump tax laws. Two of the best tutors in the area of taxes and asset protection bring the tax laws down to earth so you get the practical instruction on how to use them. Not only do you get more money, you cut your audit risk substantially. Former IRS Special Auditor Ben Rucker has joined Lee to give you the inside scoop on how to save on your taxes by proactively setting yourself up for success. Using these legal tools will enable you to keep more of the money you make. Personal Planning, Business Planning, Retirement & Benefits Planning–All In ONE! Complete course with proven strategies on effective tax planning, estate planning and asset protection for your business and personal affairs. The course takes you by the hand and shows you step by step how to use the law to make money and protect your assets. Personal Protection library documents containing the document templates used in our law firm. Everything from BOTH the Starter and Advanced Packages in digital AND written/CD form, PLUS free access to our ATTORNEY HOTLINE! So much more than just another set of instructions–this system even includes access to LLC-specializing expert attorneys to answer your questions! The LLC Wizard materials themselves explain how to double your asset protection and get a lot more spendable cash out of your LLC. It will help you set up, operate and get the benefits out of your own boutique LLC in 6 easy steps. It works in any state and can easily be done from home using simple and powerful legal and tax strategies. See https://www.legalees.com/llc-packages/ for information on the individual packages and here for more information on the full Wizard. Everything from the Starter Package PLUS instructions and forms that provide you with the tools you NEED to use to maintain your LLC for maximum asset protection. Don’t miss making sure that you follow through with the needed formalities for your business. 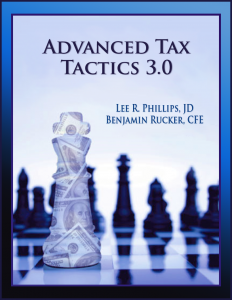 AND as a special bonus for ordering online, we also include a copy of Advanced Tax Tactics 2.0 so you can know how to tax your entity for maximum savings. Everything you need to get started with instructions on filing your Articles of Organization and writing up your Operating Agreement. Includes everything in the Complete LLC Operating agreement PLUS step-by-step audio explanations that walk you through what you do (and don’t) need to include in the Articles of Organization that you file with your state in order to officially form your business. The complete LLC Operating Agreement details company operations, what happens if creditors come after you, what happens if you die, and dozens of other issues surrounding your LLC. It is customizable to your needs and easy to use. It goes way beyond the standard forms and will save you both money and frustration. Giving money to life insurance companies may be one of your biggest continuous cash drains. If you feel your skin crawl when you hear, “Trust Me! I’m your insurance agent,” we can help. 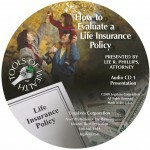 Our CD on how to evaluate a life insurance policy shows you the ins and outs of life insurance. Life insurance is actually the sweetheart of the IRS code. Yes, it a critical part of your financial structure, but you had better know what you are doing. The problem is almost everyone gets taken to the cleaners by the insurance agent, and then the insurance company itself finishes the job by wringing out your last dime. Did you know that you could be getting twice the insurance for the same dollar, using the same policy? Are you “investing” using insurance policies? Investing using a life insurance policy could actually be a really great deal, because of the tax advantages! Did you know that if your insurance agent does a good job for you, he makes hardly any money? Whose interest do you think he really has in mind? 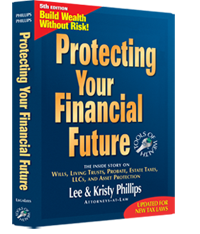 My CD, How to Evaluate a Life Insurance Policy, gives you an unbiased lawyer’s analysis of life insurance. What to look for, so you don’t get taken. And importantly, which insurance companies are going to survive tough economic times? Each month, the Tools of Wealth monthly newsletter will show you overlooked legal tools and ideas that will help you in your business and your personal life. The newsletter is mailed to you on the 25th of every month. Make sure your financial future is built on a strong foundation. (Current as of 2012) Sell your real estate and get another piece of real estate without paying any tax. That’s an old trick with 1031 exchanges. Did you know you could sell your real estate, not pay the tax, and not end up with another piece of real estate? Our clients that got out of real estate without paying the tax are sure happy today. Get a new look at 1031, because we’re not using your mother’s 1031. 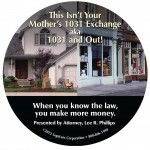 In fact, the audio CD is entitled: This Isn’t Your Mother’s 1031 Exchange, aka 1031 and Out. There are tons of ways you can use IRS Code Section 1031. You can buy your new piece of property first, then sell your old property. You can exchange bulls for bulls (not for cows, because they’re not “like kind”). 1031 has been the sweetheart trick of real estate investors for decades. They can sell one property and get another one without paying the tax. Your deals are worth a lot of money. The taxes could be substantial. If you are selling a piece of real estate and you don’t want to pay the tax today, you need to learn what ALL of your options are. Order the CD today! Identity theft is the fastest growing crime in America and increasing about 47% per year. 11% of identity theft occurs online, and it takes about $2300 and 200 hours to fix a problem. Get Winning the Identity Theft War today and avoid the problems. This e-book takes you step by step through how to use charging order protection in addition to the “corporate shield” an LLC offers.